5G (or fifth generation) is the next major iteration of the cellular network that will theoretically support multi-gigabit internet speeds on phones. Intel is emphasizing the modem’s applications in areas outside of phones too, such as autonomous vehicles, drones and smart city sensors. “5G will enable billions of ‘things’ to become smart through seamless connectivity, massive computing power and access to rich data and analytics stored at the edge of the cloud,” wrote Aicha Evans, the head of Intel’s communications and devices group, in a blog post about the 5G modem. The new Intel® 5G Modem we are announcing today is a milestone for the industry, enabling businesses across the globe to develop and launch early 5G solutions. It will accelerate the development of 5G-enabled devices – offering opportunities for leaders across diverse industries to innovate with early deployments. 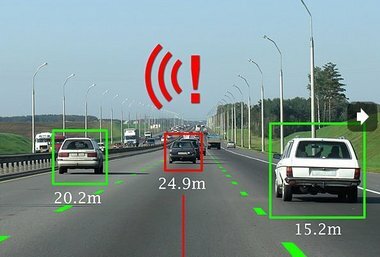 However, today’s communications systems weren’t designed to accommodate the massive bandwidth required to support such an evolution, or the ultra-low latency needed to allow devices or even vehicles to react to split-second events. Intel is expecting to sample the modem to customers in the second half of 2017 and go into production soon afterwards, an Intel spokeswoman said.